Lead exposure is toxic to the organs, blood, heart and brain. Everyone is susecptible to lead exposure. You may think it comes just from children picking at chipping paint, but no. Lead from old paint and other sources becomes airborn and inhaled. shellac, varnish, stain, coating, or even paint covered wallpaper. Using only the most advanced testing devices, our LBP testing is conducted only by experienced and state/EPA certified lead inspectors. All testing is done is a non-destructive manner. All interior & exterior components are tested in accordance with city, state and federal regulations. William O’Donnell received his training in lead paint inspection at the National Asbestos & Environmental Training Institute in Ocean, New Jersey. William received both his New Jersey (ID#015417) & Pennsylvania (ID#003619) Inspector/Risk Assessor Lead Certification Permits in March of 2005. 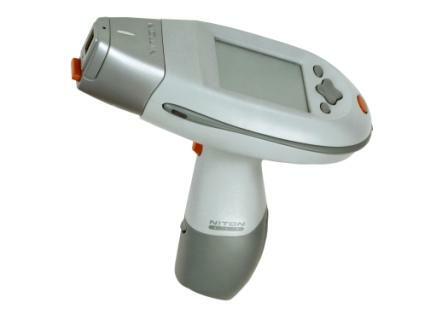 In March of 2005, William O’Donnell was trained in the use of the Niton XRF Spectrum Analyzer at the manufacturer’s training course in Billerica, MA. Every 2 years William O.Donnell attends a Lead Inspector/Risk Assessor refresher course per state regulations. William O’Donnell is a also a licensed real estate broker (License # 0125558) in the state of New Jersey. Size and scope of inspections vary. This discount is deducted from quoted price.